Setsubun Holiday: Demons Out! Luck In! 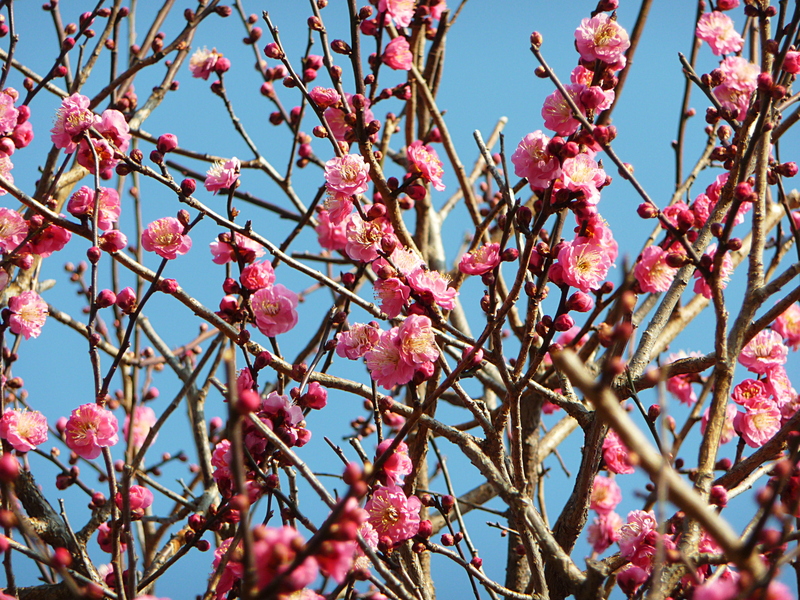 February seems too early for spring in Japan but with the unseasonably warm weather and plum trees blossoming, it does feel like spring is in the air. 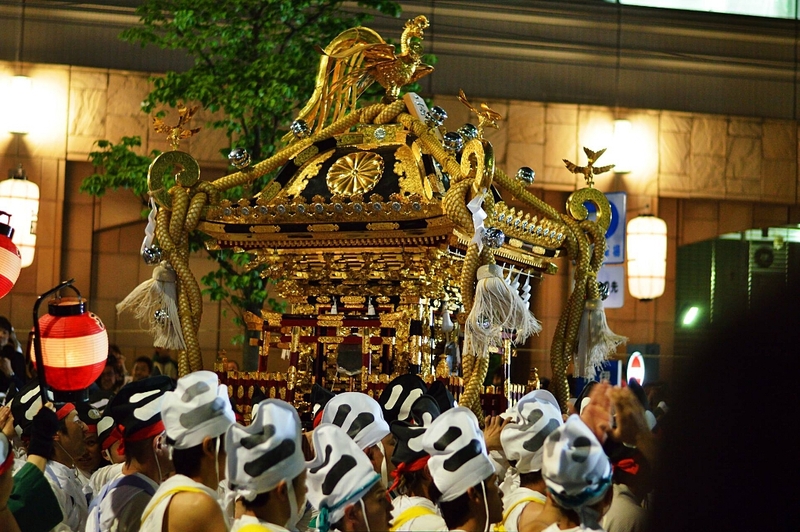 So I suppose it is only appropriate that today is Setsubun (節分, “division of the seasons”), the holiday in Japan marking the lunar calendar change from winter to spring. This holiday is also associated with the Lunar New Year so some traditions are centered around the idea of cleansing away any evil from the previous year to make way for a fresh start. 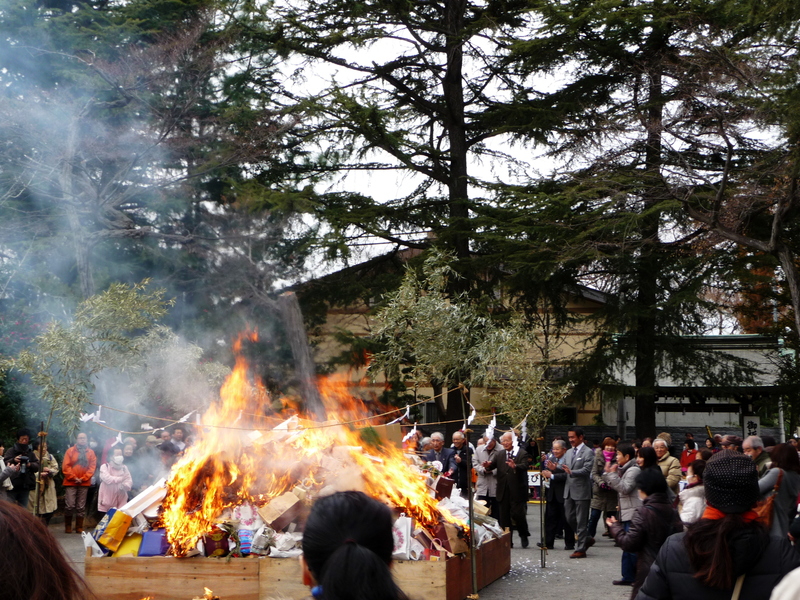 My husband and I joined in a Setsubun celebration held at a local shrine to see how they celebrated this particular holiday. 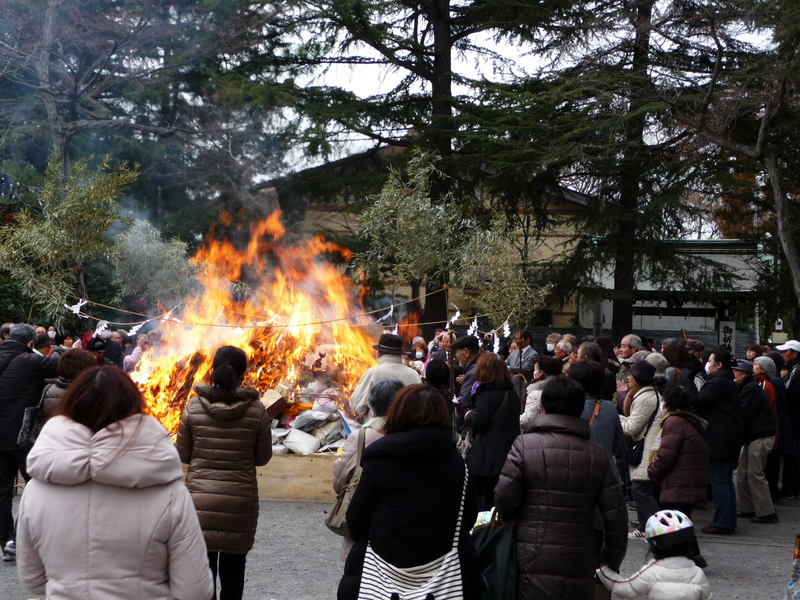 After a Shinto ceremony inside the shrine, priests and a few invited guests from the local community stepped outside to throw roasted soybeans to the awaiting crowd. Many of the others there had large bags they held open to catch the soybeans before they hit the ground but we had not come so prepared and it was up to the hood on my jacket and my husband’s outstretched cap to do the job for us.They also threw a few small parcels wrapped in paper which turned out to hold roasted soybeans and paper slips exchangeable for prizes. Our haul included a couple dozen roasted soybeans, a pack of wet tissues, and a bag of some kind of hot lemon drink mix. 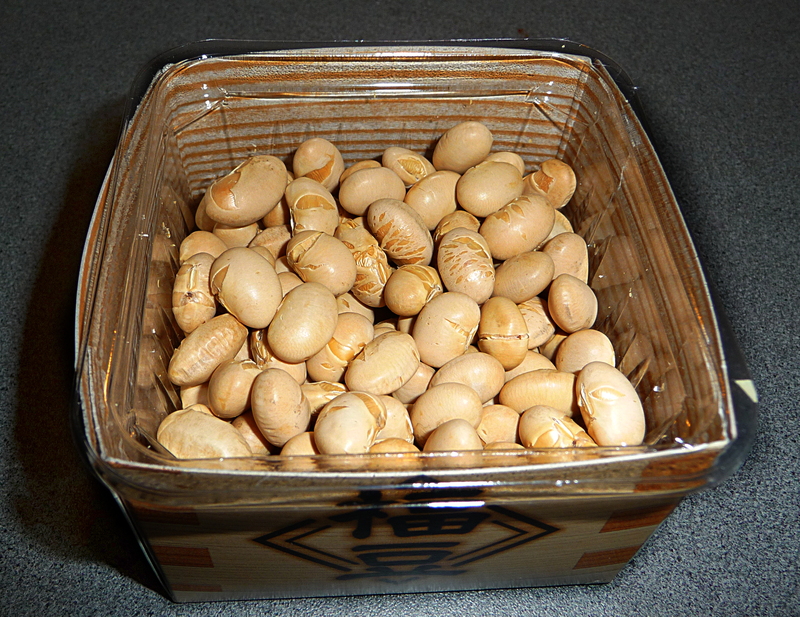 The roasted soybeans are called fuku mame (福豆), or “fortune beans,” and are used in a few different ways. One of the other participants at the shrine told us to make sure to eat a soybean for each year of our age to bring good luck. He also told us that at his age, his stomach couldn’t take eating so many so that should tell you he was an older guy. 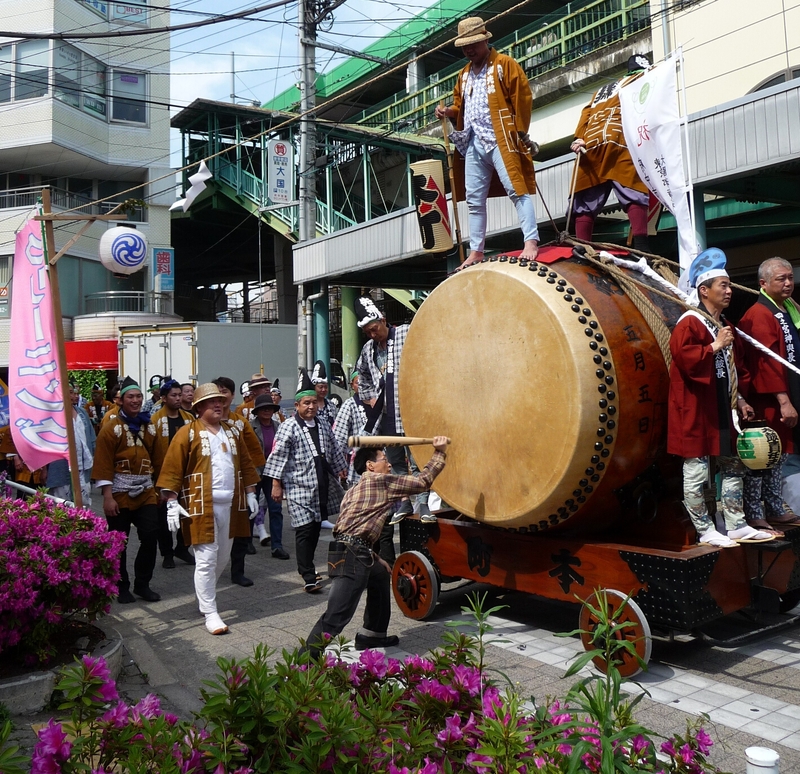 It seems we frequently run into older men and women at festivals and such who are very happy to instruct us in the related customs and traditions (and I am happy to hear what they have to say). 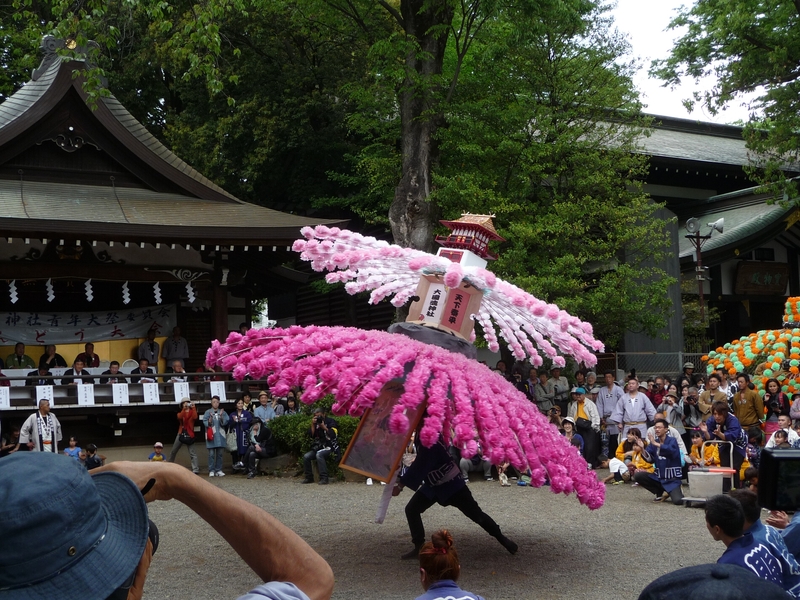 Another custom, called mamemaki (“scattering beans”) or bean throwing, involves throwing roasted soybeans at whichever family member is chosen to wear the Oni (demon) mask. While throwing the beans, you yell “Oni wa soto! Fuku wa uchi!” (鬼は外！福は内！), which translates to “Demons out! Luck in!” This symbolizes driving away any evil spirits while welcoming good fortune into the home. 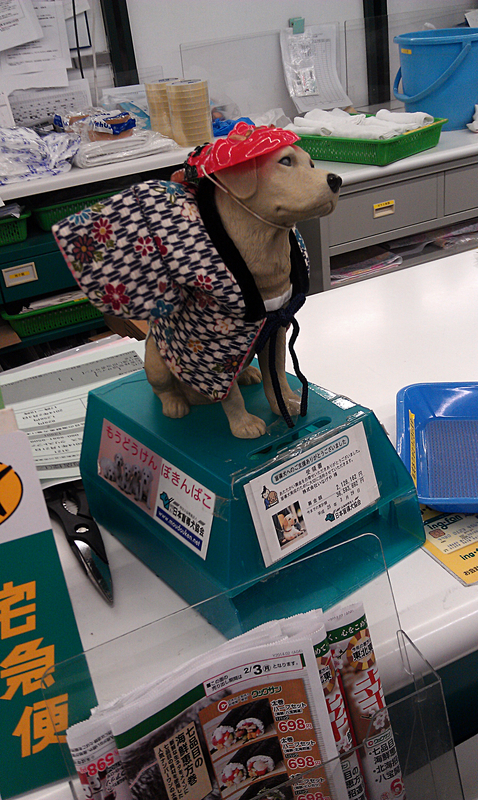 I saw a lot of Oni masks used as decorations for the holiday, including this one on a little dog figure on top of a collection box for seeing eye dog training. Isn’t he adorable?! 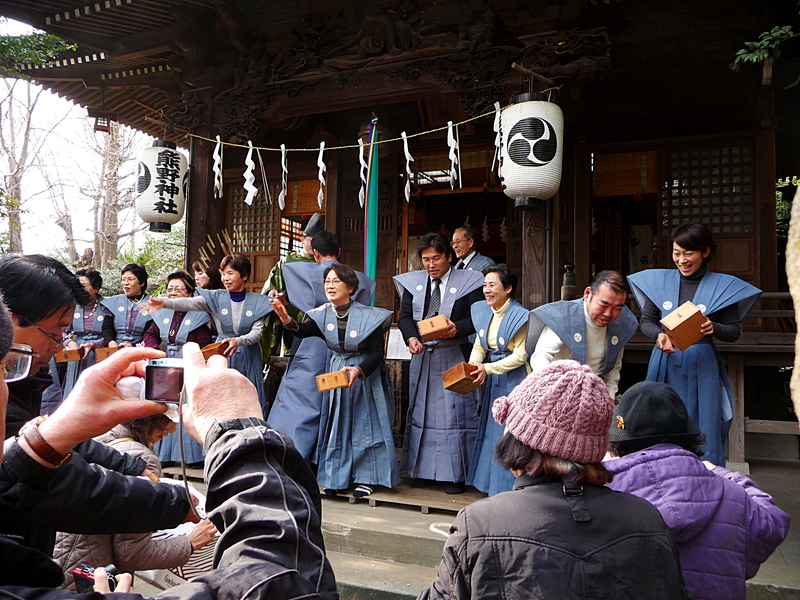 It is also tradition to eat eho-maki, or “lucky direction rolls,” for Setsubun. 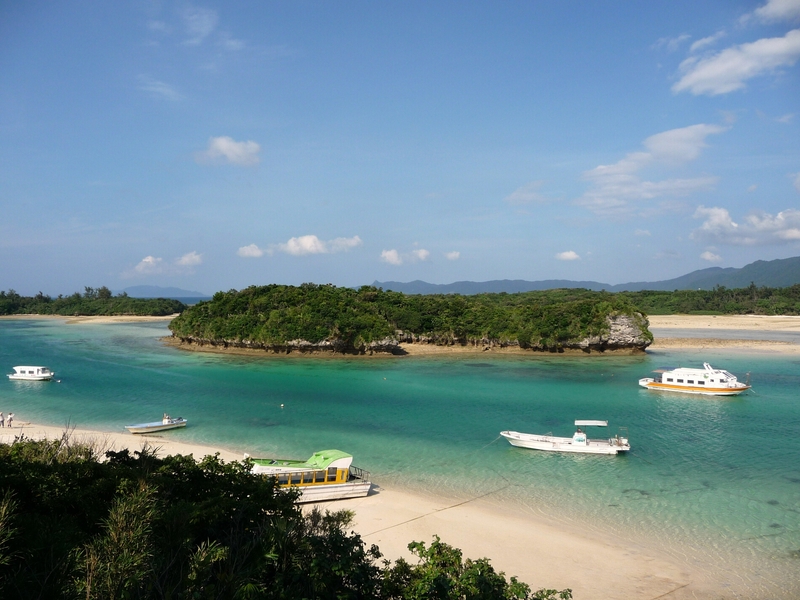 Many include seven different fillings as an association with the Seven Deities of Good Fortune, called Shichifukujin (七福神). 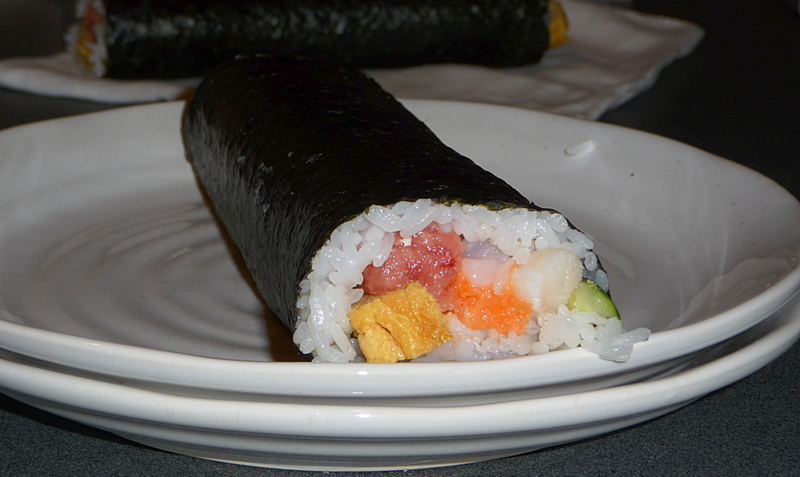 Our rolls included cuttlefish, omelette, cucumber, salmon, tuna, shrimp, and scallops. Yum! Usually thick sushi rolls like this are sliced into more manageable, bite-sized pieces but this will not do for fortune rolls. Since slicing them would symbolize cutting the good fortune, these have to be eaten just as they are. When eating the eho-maki, it is also tradition to face in the good luck direction for the year (east, north-east for 2014) while thinking about what you want for the following year. Oh, and you are not supposed to speak until you finish your entire roll. The rolls we got were so large they just fit on the plate and I am a really slow eater so I had plenty of time sitting here quietly, thinking up lots of things I want for the year. 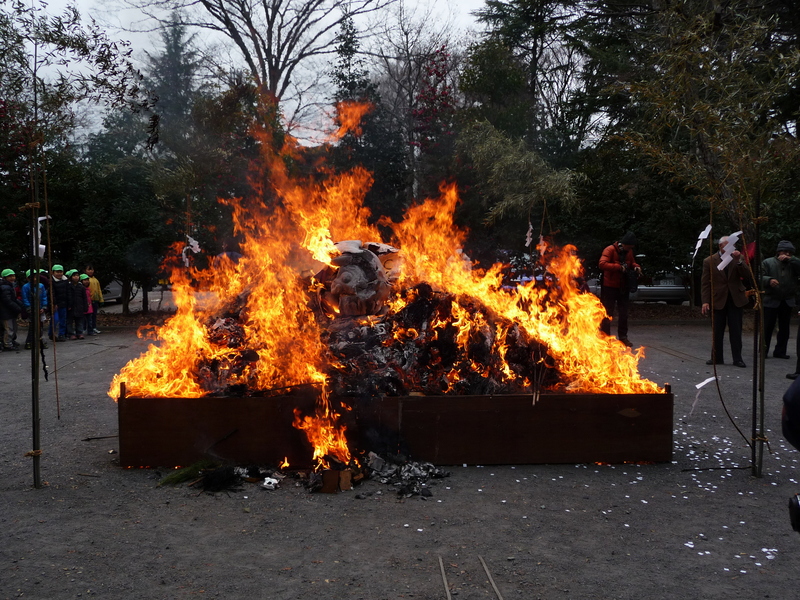 When I talked about traditional Japanese New Year decorations before, I mentioned there is a ceremony where these decorations are gathered and burned in order to release and appease the spirits that have been residing within them for the beginning of the New Year. These ceremonies are a type of fire festival called dondo yaki (どんどやき) and since there was one held at a nearby shrine, I had to go and say farewell to the New Year decorations myself. 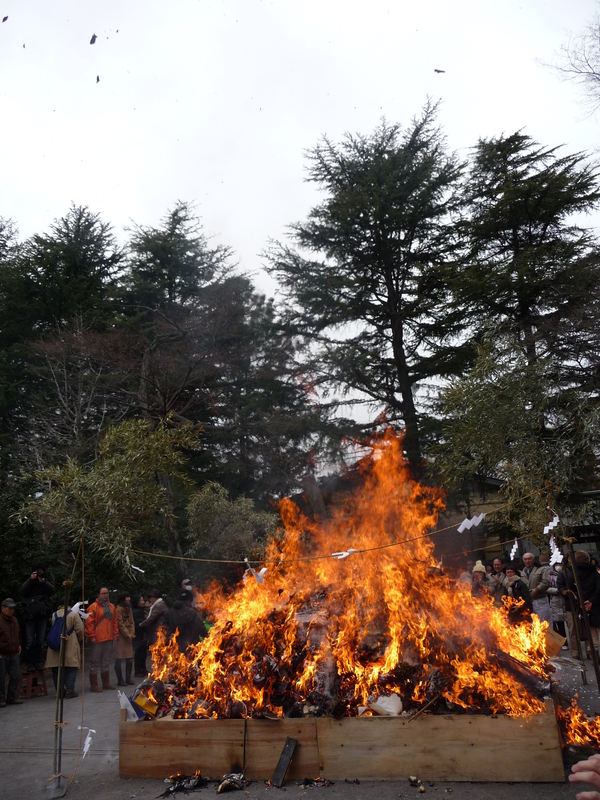 By the start of the festival, the stack to be burned had reached head height and was full of all kinds of New Year decorations, such as kadomatsu and shimekazari, as well as good luck charms used during the previous year. Do you see the white, zigzag-shaped paper streamers? 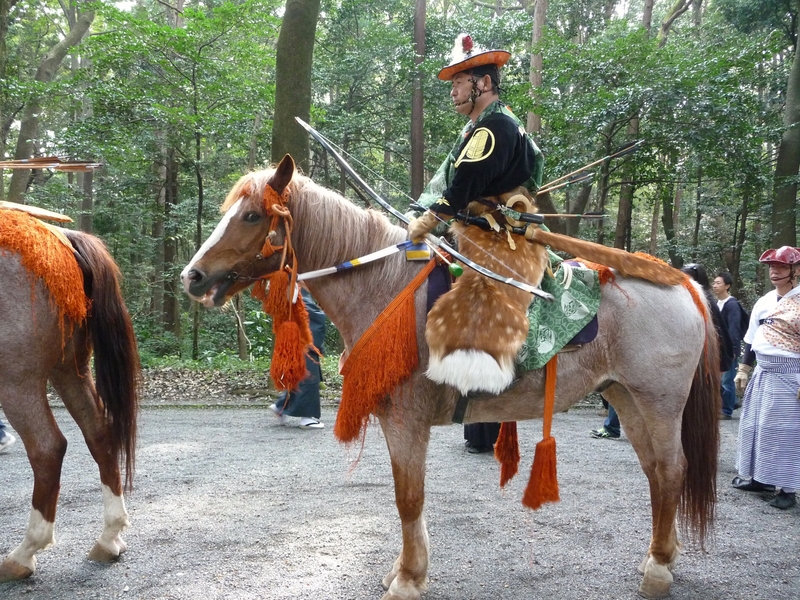 These are shide (しで) and are often used in shinto rituals. 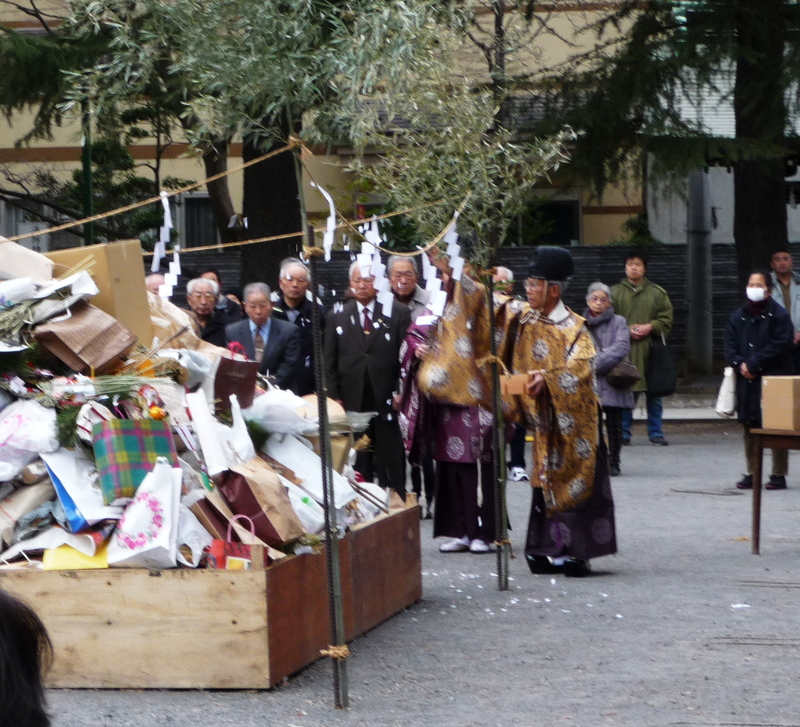 There was a short ceremony where the Shinto priests said a few words and led the attendees in a prayer while a few late comers quickly dashed in to add their own decorations and charms to the overflowing stack. 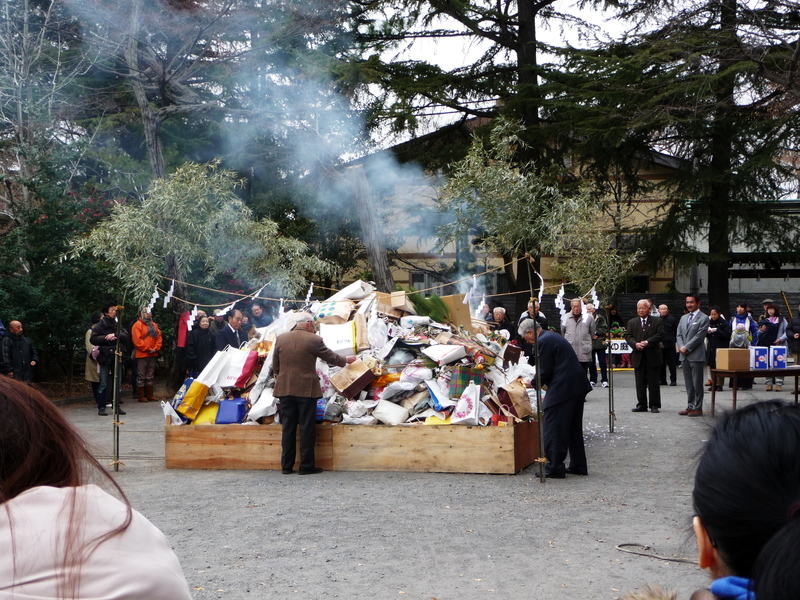 I couldn’t actually hear or understand much of what the Shinto priests were saying but once several men stepped in and began to set fire to the stack, I knew it was time to say goodbye to the New Year decorations. 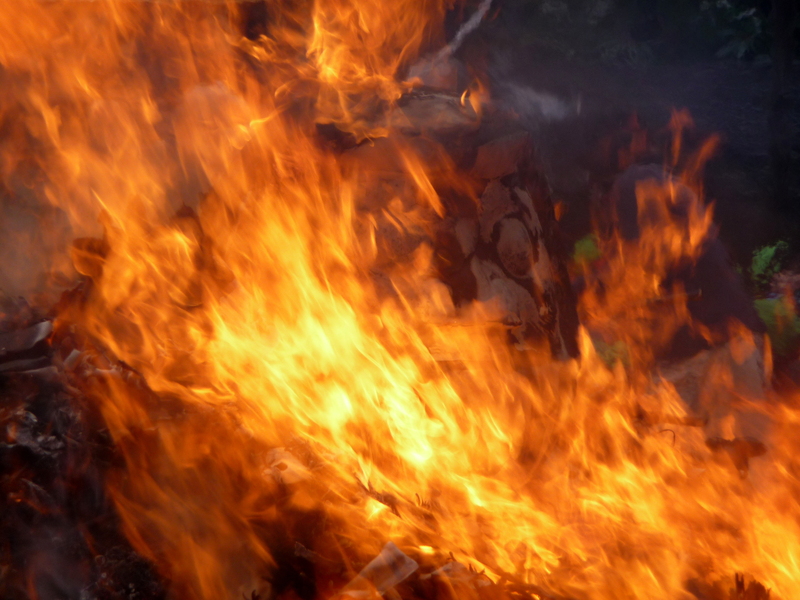 It took hardly any time at all for the fire to catch and really get going. To my surprise, as soon as the fire caught, everyone started rushing toward it! I’ll admit it was a cold day but not so cold that you had to be right by the fire! As it turns out, this is another part of the tradition. Since the smoke is said to carry the spirits up to heaven, this smoke is considered divine and is supposed to convey good health to those receiving it. My husband and I did not know exactly what was going on at that moment but we had moved forward with the crowd. An older Japanese woman saw us standing there watching and must have thought we needed some good fortune because she started waving the smoke over to us. I really appreciated that she wanted to include us, the foreigners who obviously did not know what it was all about. And now that I know the meaning behind it, I feel like she was sharing her wishes for good fortune and health and I appreciate her gesture even more. As soon as most of the smoke cleared and the fire really got hot, people backed away from the fire just as quickly as they’d rushed in. 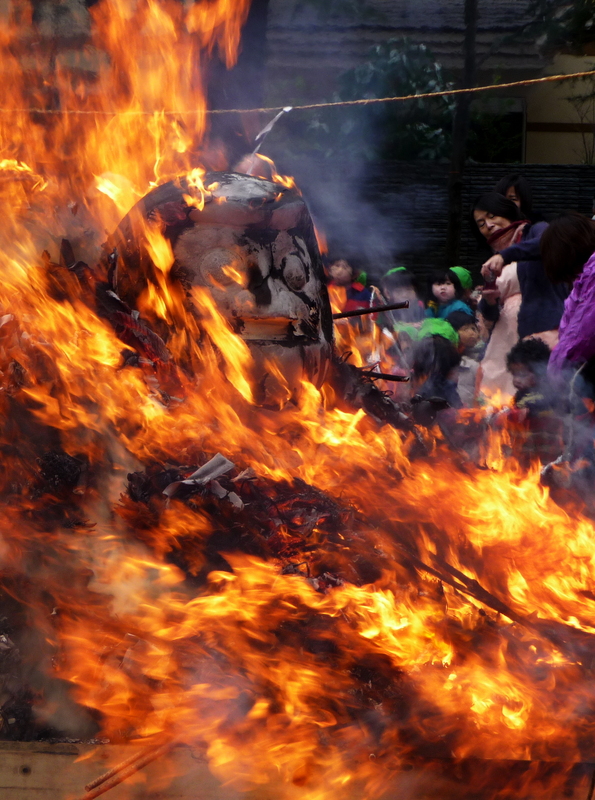 As the fire burned some of the outer layers away, it also revealed some of the larger items that had been hidden like this daruma doll peaking out from the flames. Daruma dolls are a sort of good luck talisman and come in many sizes but most that I have seen before have been much smaller, usually so small they fit in the palm of your hand. 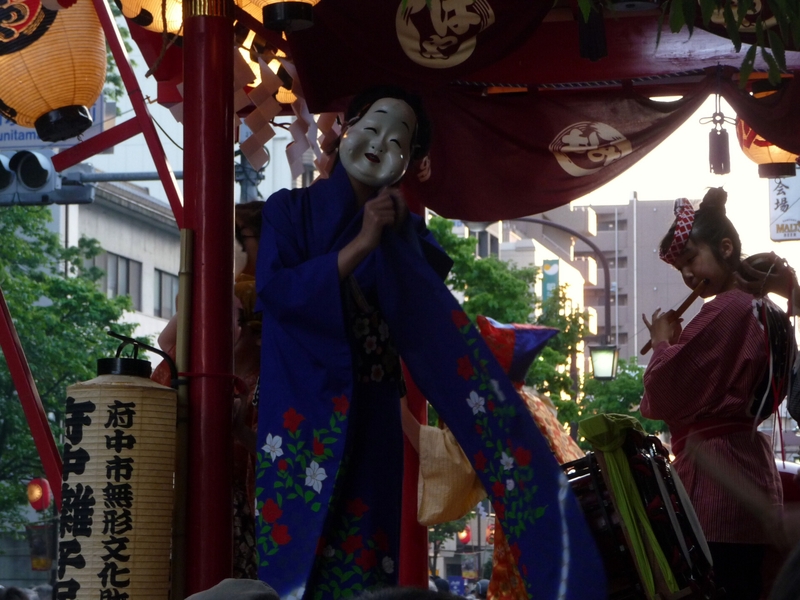 With daruma dolls, the eyes are left blank. When a person has a goal or wish in mind, he or she fills in one eye and then places the daruma where it will be seen every day. The second eye can only be filled in when the goal or wish has been fulfilled. 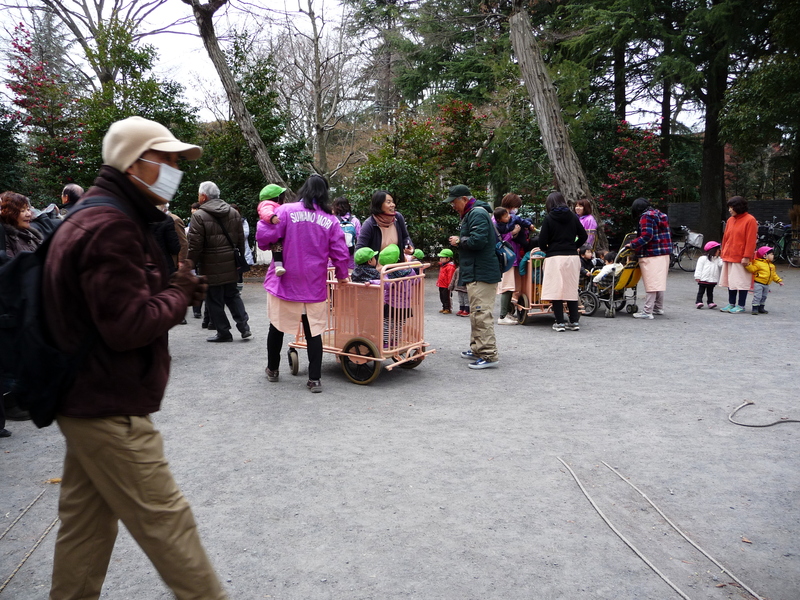 There were several groups of children at the dondo yaki and as they were preparing to leave, I noticed the youngest children were being chauffeured around in what looked like playpens on wheels. This was a new sight for me so I clicked a quick picture. They were all so cute in their matching hats! Just as we were preparing to leave, another older Japanese woman directed us into a line for small gifts the shrine was giving to each attendee. 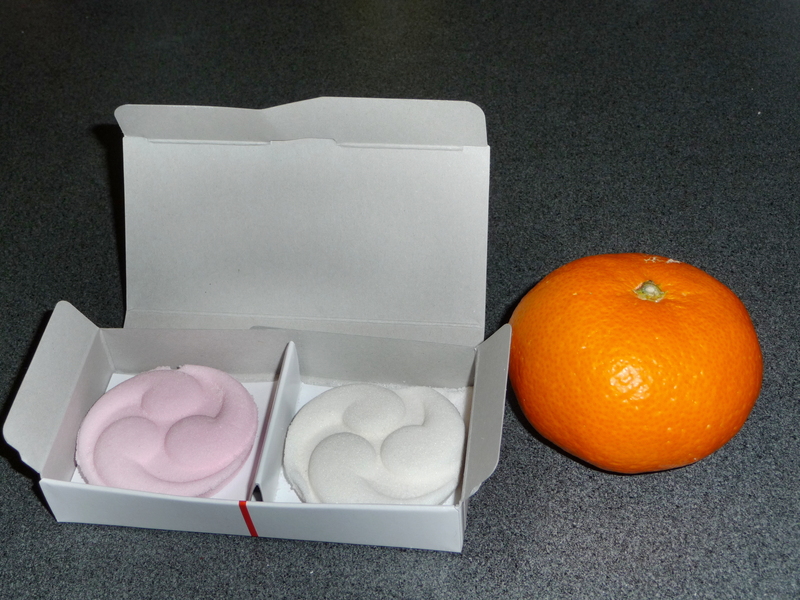 These consisted of an orange and candies, one pink and the other white. The pink represents the heart and health while the white represents snow and purity. We were told to make sure to eat these as they would bring health for us through the year. 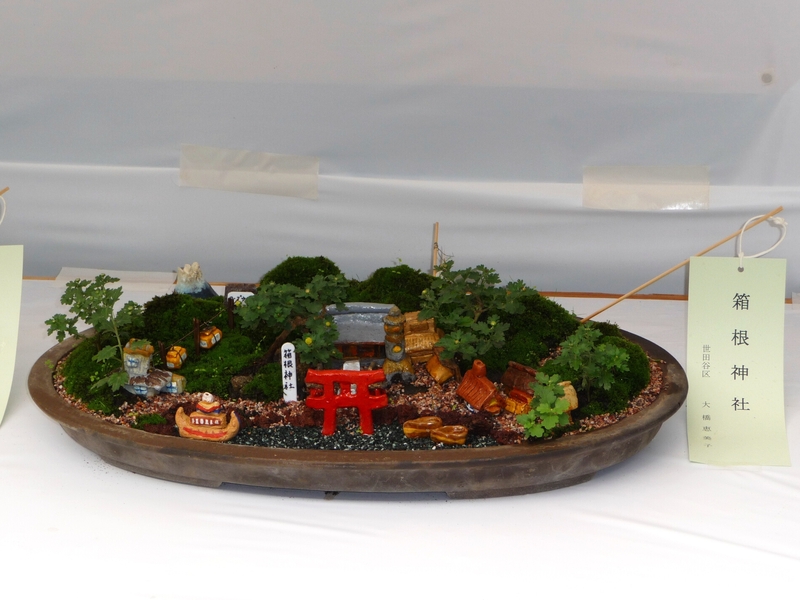 When I heard about the dondo yaki festival, I thought it would simply be a nice way to say goodbye to the New Year decorations that I’d enjoyed seeing along my walks every day. I expected to quickly stop by the shrine, watch the fire, and head home. 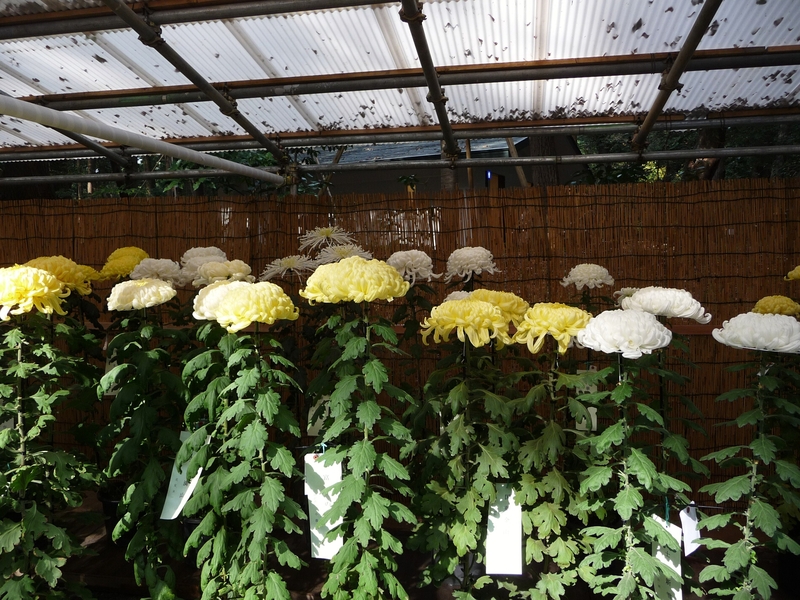 But as with so many things in Japan, I discovered the underlying meaning and heartfelt wishes behind the tradition. As the fire burned away the charms and New Year decorations, it symbolized a release of the energy spent on the previous year’s goals and projects. I left the festival feeling re-energized, ready to leave last year in the past and looking forward to putting my renewed energy into the new year.